Regis had a dream last night that he was having lunch today with Wahoo McDaniel. He didn't even know who that was so had to check Wikipedia. 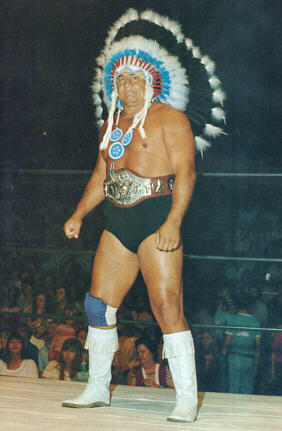 They say he was a was a Choctaw-Chickasaw Native American who achieved fame as a professional American football player and later as a professional wrestler. Turns out he died in 2002, so if Regis is meeting him for lunch that is not a good sign. My intentions were so good. I meant to start 2016 with a Whole Thirty and a yoga challenge. Then due to complex problem within our family, we have had a six-year-old staying with us since right after the 1st of the year. Out the window with yoga, the whole thirty, the Marie Kondo method of de-cluttering. In with organizing appointments, school visits, toys, small clothes, homework. It is a test for an old head, believe me. It was the same anxiety I felt when I first had an infant to care for...I had dreams about forgetting to feed her or putting her in the trunk by mistake. I finally had to get a binder and a couple of notebooks and write everything down. Things are going better and this may be shorter term than we anticipated.